Do you have a burning question about Aztec Student Union? Want to know about sustainable features, building amenities or programming possibilities? Then, ask away and we will answer your question in a future blog post! In case you missed last week’s Photo Friday installment on Facebook, you can see it below. It contains all of last week’s #PhotoaDay posts from Facebook and Twitter. 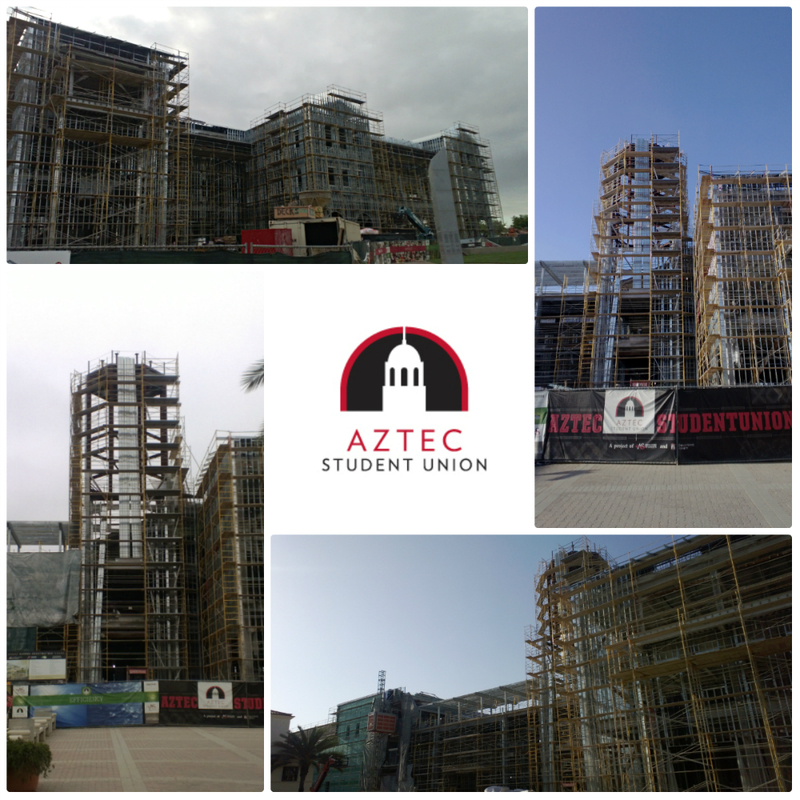 Do you have a great photo of Aztec Student Union? Be sure to post it to the Aztec Student Union Facebook wall or @ reply via the Aztec Student Union Twitter profile. Your photo could end up in the next #PhotoFriday collage! Need more live-action views of Aztec Student Union? Be sure to visit the live construction camera on the Union website! 4 Responses to Ask Away! I was wondering if you could post a picture of the new Student Organization area? Hi, Robyn! Thanks for your comment. We’ll post some photos and a description of the student organization offices on Monday. Maybe I’m missing something, but I’m trying to locate where I can apply for a job in the new student union. I looked on the AS website, but no options regarding employment in the student union were given. I figured this meant that it was either already staffed, or employment hasn’t started yet. If you could point me in the right direction that would be great. Thanks! Thanks for your comment! Aztec Student Union will hire for student positions in October/November of this year. Keep an eye on the blog and our Facebook page for more info. You can also check the A.S. jobs webpage for current job posts.